Home > Blog > Uncategorized > Artificial Turf in Our Nation’s Capital—A Good Idea? Artificial Turf in Our Nation’s Capital—A Good Idea? Artificial turf is already popular in sports arenas. Playing fields aren’t the only places that need to stay green all year long. From the White House to the Smithsonian Castle, Washington, D.C. is filled with lawns that could make use of artificial turf. Real grass lawns need constant upkeep. If they get too much rain, they get soggy and ugly. If they don’t get enough, they can look dull. Artificial turf lawns require almost no care, and looks great no matter what. More and more, it’s clear that the products offered by Watersavers Turf aren’t just for sports teams. It’s no secret that synthetic turf keeps its green color in all types of climates. But it’s also “green” in other ways. Maintaining a real lawn requires a lot of water use. Recent studies show that Americans use almost 9 billion gallons per day watering lawns across the country. In 2001, a Stockholm University study showed that one hour of gas mower use was as bad for the planet as driving a car nearly 100 miles. In December of 2015, the Obama team released a fact-sheet on the need to use less water across the globe. By installing synthetic turf in lawns across its capital, America would be setting a good example. We wouldn’t simply be talking about doing more for the planet. By making the switch to synthetic turf, the country would show the world it plans to follow through. 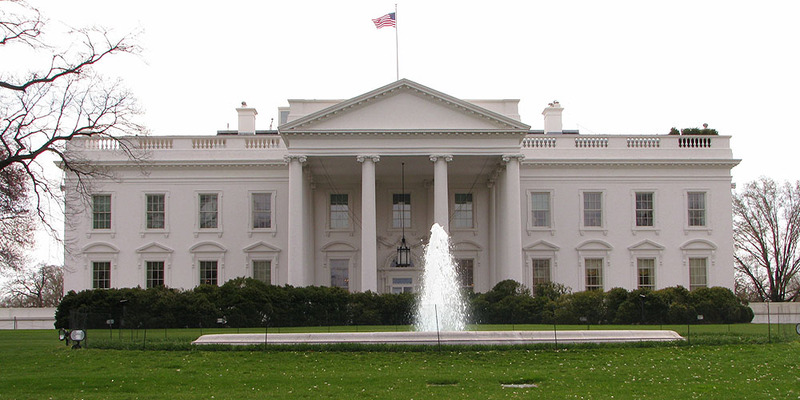 There are 18 acres of land inside the White House fence. The upkeep for a lawn that size simply isn’t good for the planet. Mowing it uses up energy. Keeping the grass green involves too much water use. On top of that, hiring people to keep it looking its best involves spending taxpayer money. It’s clearly a good idea to make sure the White House lawn looks good. It affects how other countries see America. It’s the same anywhere. Neighbors see an ugly lawn and assume the owner doesn’t care about it. That said, other countries also care about what each nation is doing to protect the planet. They will see those 18 acres and think about how much water and energy is wasted keeping the lawn so beautiful. On the other hand, with fake grass, they will see a country taking a small step to make a big difference. The White House is not the only place in Washington, D.C., where fake grass can be useful. Since 1846, the Smithsonian Institution has worked hard to make the world better. By spreading knowledge and new ideas, it has inspired people to look to a bright future. It can live up to those ideals by making changes to its buildings. The Smithsonian Castle is home to the Institution’s offices. On the property is a garden. If the owners installed faux grass, though, they would be making it clear that they believe in what the Smithsonian stands for. Grass lawns are an old idea from the past. They serve a purpose, but there are better options out there. There are options which don’t pollute the planet with smog from gas mowers. There are options that don’t use up too much water, and don’t require a lot of energy to maintain. The Smithsonian has always put the best new ideas on display. Part of its mission is to let the world see all the great new ways the planet can change for the better. Fake grass is just another one of those ideas. By adding it to the Smithsonian Castle property, the world would see how it can benefit people all across the globe. As the nation’s capital, Washington, D.C. is the city that shows the rest of the world what America stands for. If this country claims to support water conservation, reduced smog, and limited energy use, putting faux grass lawns in key spots across the city will let other countries see that we take this matter seriously. Just like solar power and electric cars, turf is a new tool that can help us to save the world. Clearly, we don’t have the power to replace the grass lawns at any of these places. But other property owners can do their part to help. With Watersavers Turf, you’ll find a product that saves water and doesn’t need mowing. Stop by one of our San Francisco Bay Area locations to learn more, ask for a free quote, or start now by calling us at 844-974-8873.